In 1936, Public Utility District No. 1 of Lewis County was voted into being and the first commissioners were elected: Martin Jacobsen, A.H. McCall and R.B. Peters. In 1938, construction began on about 66 miles of rural lines and in March 1939, the Alpha section of the line was energized. The first electric bills were mailed on April 1, 1939 to approximately 60 customers. Now, we serve more than 31,000 customers over approximately 3,370 miles of energized distribution lines. 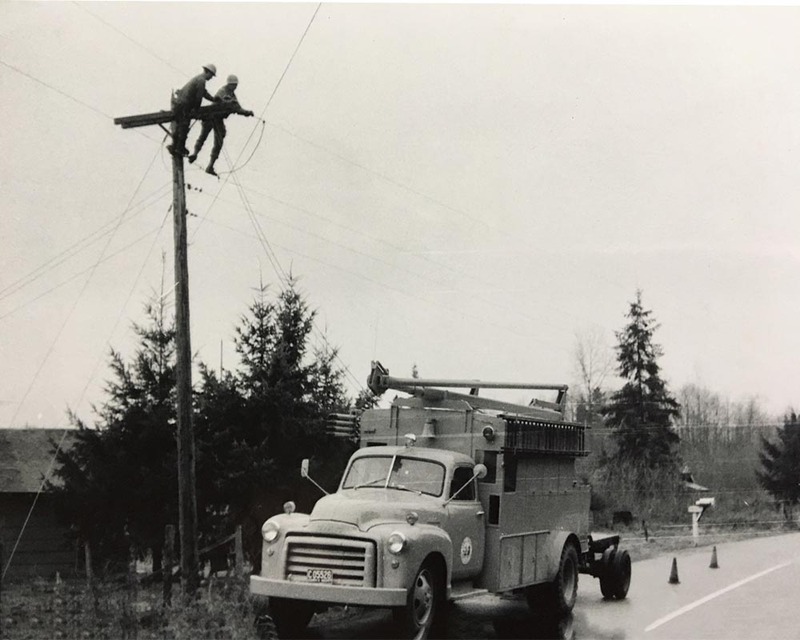 In 1931, the State of Washington passed legislation that allowed for the formation of Public Utility Districts allowing local citizens to have a right to own and control the means necessary to provide electricity for their communities’ reliability, efficiently and at the lowest reasonable cost. Community ownership means local people working together to meet local needs. 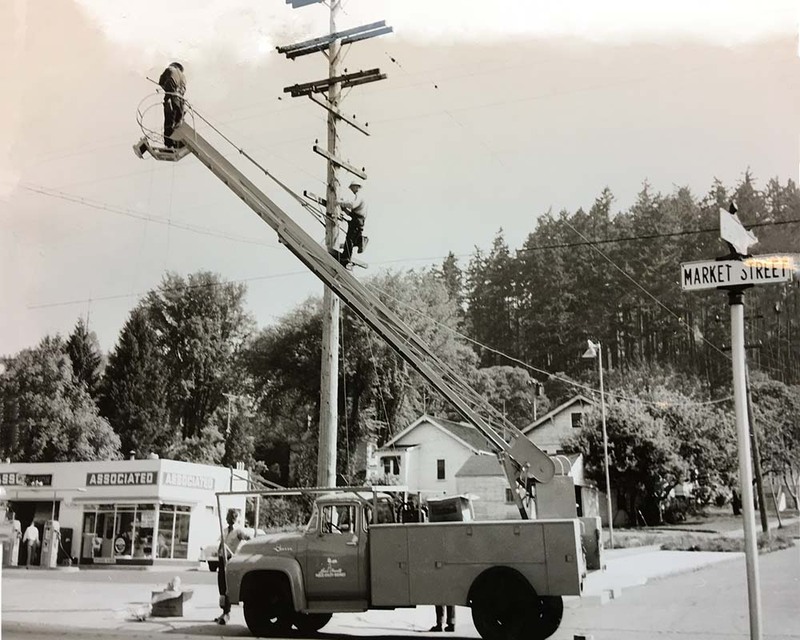 Public power utilities, also known as consumer-owned utilities, energize the most remote rural areas and the largest urban centers in the Northwest. Proudly providing our customers with clean, safe, and reliable power since 1936. A mix of hydroelectric and wind projects make up 88% of the power distributed to our customers. The remaining 12% is a mix of nuclear, natural gas, and coal generation.